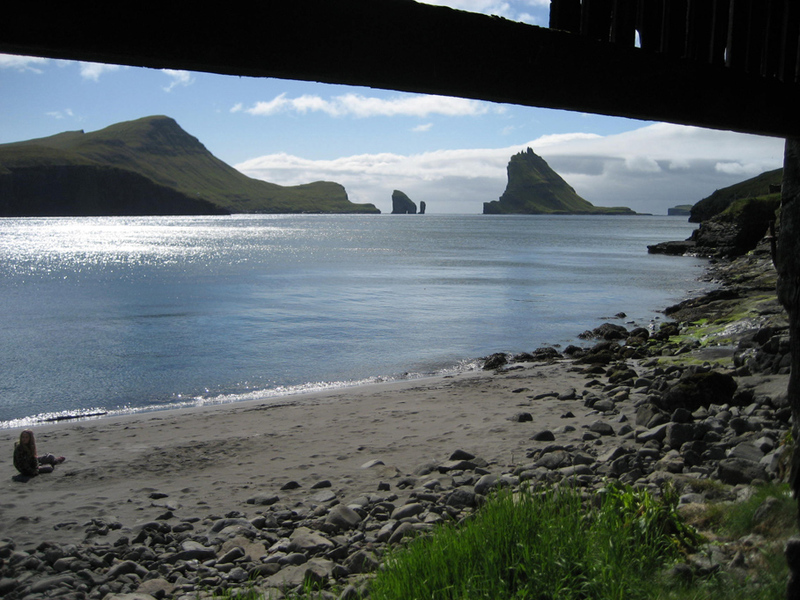 Like a Nordic port of old, the Faroese capital of Torshavn smells evocatively of salt and tar. As we disembark the ferry, the harbour waters lap beneath the modest parliament building with its turf roof and oxblood weatherboarding. Skiffs and speedboats rock together alongside the many piers. Fresh cod gasp in plastic fishboxes on the quayside. There are supermarkets, restaurants, and a football stadium where Scotland have enjoyed some limited success. The town is clean, civil and unostentatiously Christian. We enjoy the warmest of welcomes from the kindest of people in this town. Marner, who lives next door to the tidy wooden house we have rented, has just enough English to explain to me that business at his garage is good. We talk over the fence. 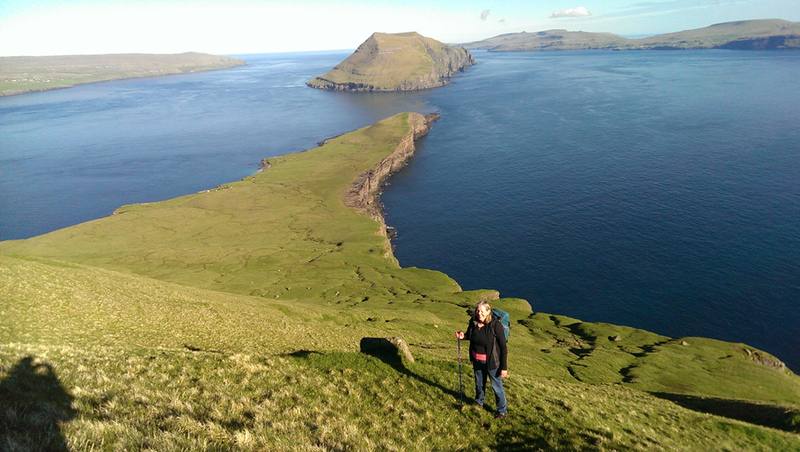 His wife is a carer for a spinal injury patient who was flown to hospital in Copenhagen for initial treatment, but is now living back in the Faroes. People working in their own businesses or getting on with modern professional life on a North Atlantic island: this could be Orkney, Shetland, Lewis. Next day, with our engine labouring in low gear, we set off in a north-by-northwest direction to drive over the mountains behind Torshavn. 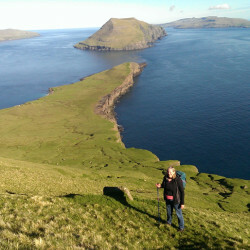 We leave the town far below, seeking out the volcanic and glacial scenery for which the islands are famed. Soon, we are cruising high above the fjord on the arid surface of what could be another planet, moving into the pagan hinterland of rocky desert, salt water and ice. Deep in my pocket as I drive nestles a crumpled, blue-gray, fifty kroner banknote: my change from the tourist shop on the ferry. The note depicts a wild-eyed island ram, rugged and lean in the Iron Age style, with a haughty, feral expression; a curly-horned spirit of the Faroe Islands. The ram is not unlike a North Ronaldsay sheep. Up here on the mountain highway, a ram like this stands proud on every other corner, his ewes scrambling off through scrub and over screes. 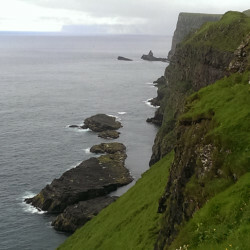 … only to emerge into another, inconceivably strange landscape of eccentric mountains and sculpted half-mountains, sea-plummeting corries, and wave-eaten, emerald islets that soar skywards to pinnacle summits before plunging, black and fragmented, to the pallid north Atlantic hundreds of metres below. These islanders think nothing of tunneling to immense depths or bridging at great heights across the narrow tidal sounds to improve their infrastructure and economy. Indeed, they describe their archipelago, with its 50,000 inhabitants, as a ‘dispersed city’, and there is no doubt that it is astonishingly easy to get around. 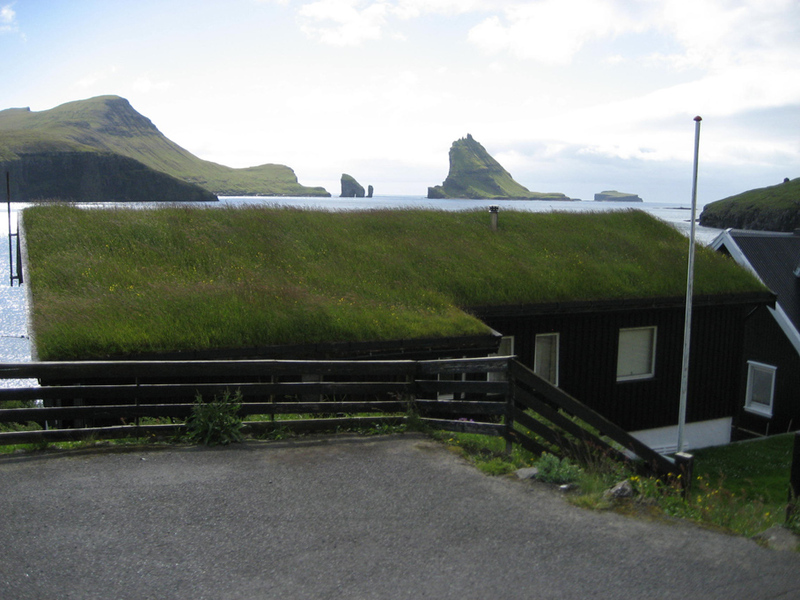 Local industry thrives outside Torshavn, without additional transport barriers. I think of similar land and seascapes in the Scottish Highlands and Islands, and the retarded impoverishment of infrastructure there: the lack of tunnels or bridges, the restricted grid connections, the punishing metro-centric electrical distribution charges. 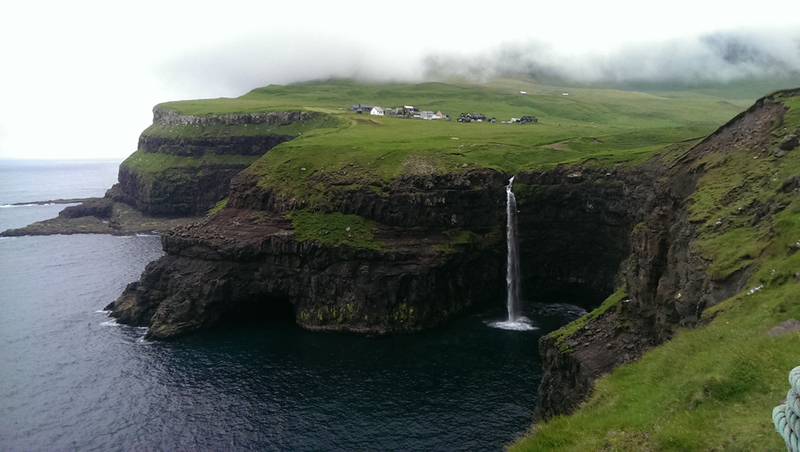 Isolation or distances simply aren’t a problem in Faroe. The landscape is easy to negotiate, and yet it is breathtakingly beautiful. Here, there are vast, truncated parabola shapes, and jagged dental forms in basalt, weird in their wildness. 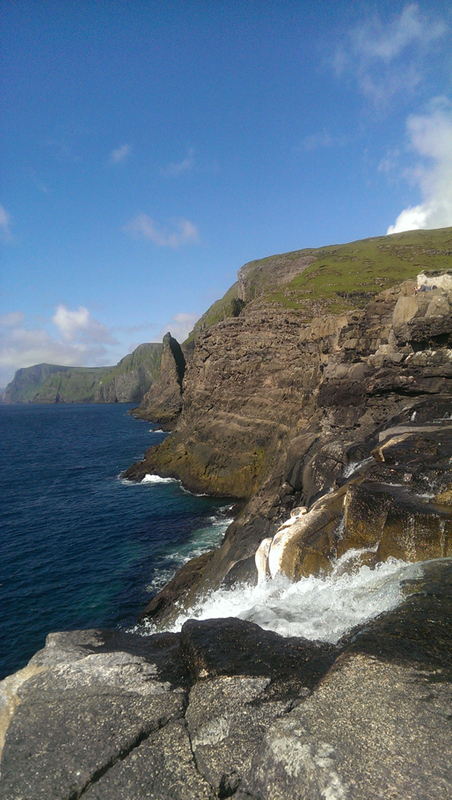 These rocks are indeed like the teeth of the sea serpent in the Orkney folk tale. Never have we experienced such a sense of our own insignificance, of being on the periphery, of breathtaking, Spartan beauty. And yet, among the volcanic grandeur, there are many, many towns and villages; there are fifty thousand people here. How can all of these folk scratch a living in this oceanic wilderness? Look again closely and you will see that there are phenocrysts in the seemingly monotonous basalt. And there’s a true, resilient independence of spirit, a self confidence in the eyes of the Faroese ram. 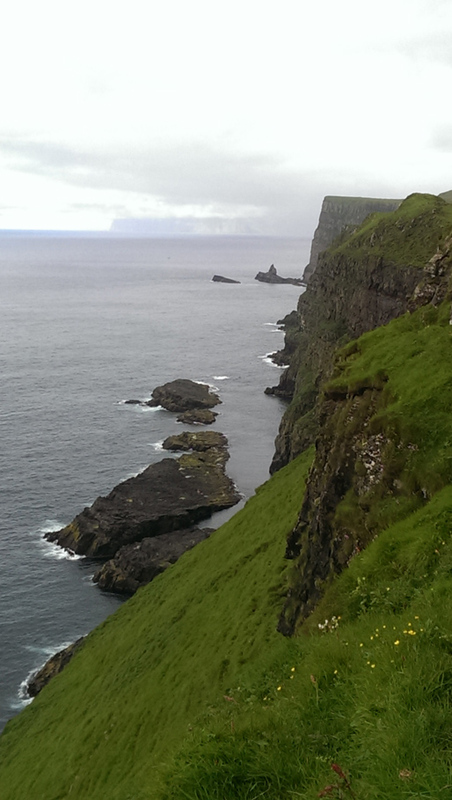 The note in my pocket is indigenous Faroese: a version of the Danish Krone; it is not the Euro. These isles are Danish, yet they are also un-Danish. They are European, and at the same time they are virtually independent. The ram is sure of a mouthful of mountain pasture, a feed of lichen, the perpetuation of his genes. And the wide sea that makes foreign visitors feel small and insignificant inspires these islands with confidence. Ninety per cent of the GDP here is fish, and the GDP is enviable, ranking alongside Japan, Germany, and the United Arab Emirates. As the sagas say, bound is the man without boat. The hardworking twenty-first century Faroese with a share in a pelagic trawler or a crabber is indeed both wealthy and free. In the summer, for instance, a lavish fleet of privately-owned cabin cruisers are towed by four-by-fours onto the ro-ro deck of the islands’ international ferry Norrona, and shipped to Bergen for recreational cruising on the Norwegian west coast. There is no shortage of money for those who are prepared to work for it. And, significantly, these ‘isolated’ islands have become wealthy without a drop of oil – as yet. Oil exploration activity is gathering momentum in the surrounding seas. 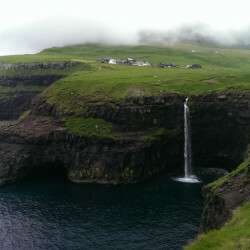 It is rumoured that Statoil have already invested vast sums in exploration on the Faroese seabed. With new fields currently opening up in the Atlantic far to the west of Shetland, a lucrative strike on the Faroese side of the international line now seems inevitable. And – critically – it is the Faroese seabed. 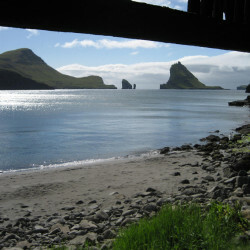 Fortuitously, the Faroese government succeeded in negotiating the rights to the islands’ own seabed from the Danish government in 1992. How different the situation is at home in Orkney, where seabed leases for salmon farms have paid rent to the Crown Estate for generations, and where renewables developers have begun to hand over astronomical sums for the future installation of wave and tidal arrays. Only a tiny fraction of this money returns to Orkney, in the form of petty grants for leisure slipways or suchlike. Chicken feed from the Crown Estate. 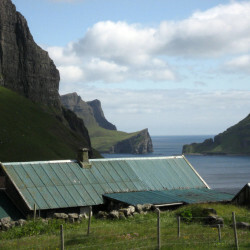 We should watch what happens to the Faroes as the renewable revolution develops, for there is no failure of ambition in these isles. 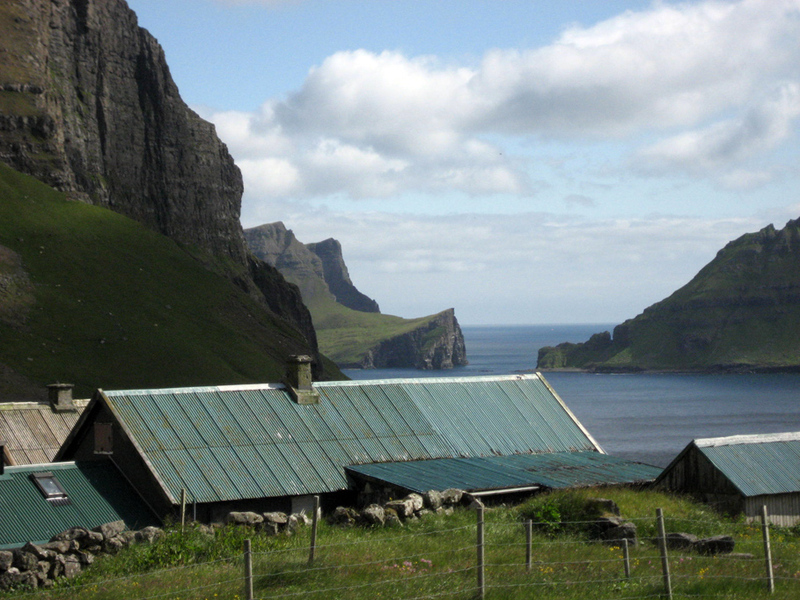 Potential oil development coupled with burgeoning renewable capability is the magic combination for the Faroes. The potential for clean renewable wind, wave and tidal energy in the islands is, quite literally, endless. 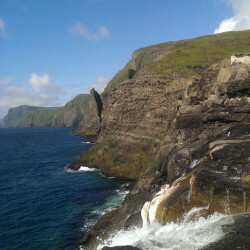 Solid oil wealth of their own for the foreseeable future, coupled with the opportunity to develop a secure long-term, home-grown renewable power base – what more could North Atlantic islanders possibly wish for? The Faroes now share only foreign and defence policy with their benevolent ‘sister nation’, so they have Scandinavian ‘devolution max’ from a larger neighbour that is comparable in many ways to Scotland. And I don’t want to gloss over the fact that Denmark has some of the highest taxes in Europe. But the taxed Krone ensures what is – officially – the highest reported level of happiness in Europe. The tax goes back into Danish society: into education, care homes, hospitals. I’m not overly keen on vikingry – the kind of helmet-wearing, flag-waving, Norse-ancestry mythology and celebration that goes on in some parts of Scotland – but I do think we ought to take a serious look at what we could learn from the Nordics as time goes on. By our evening return to Torshavn, the temperature has warmed to a balmy five degrees outdoors. 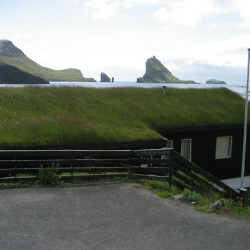 Families gather under turf roofs. A dwarf alder by the picket fence bears modest fruit. Marner from next door is curious about the Saltire on my EU number plate. I explain that my island is part of Scotland, and also part of the UK, and also part of Europe. He chides me gently: When are you having your autonomy? This, of course, is the big debate of our time. But I return to Orkney inspired in so many ways by these resourceful fellow islanders and their energetic example.